Protect yourself against any outside forces that may threaten the safety of your home or business with the Defender BlueLine security series. 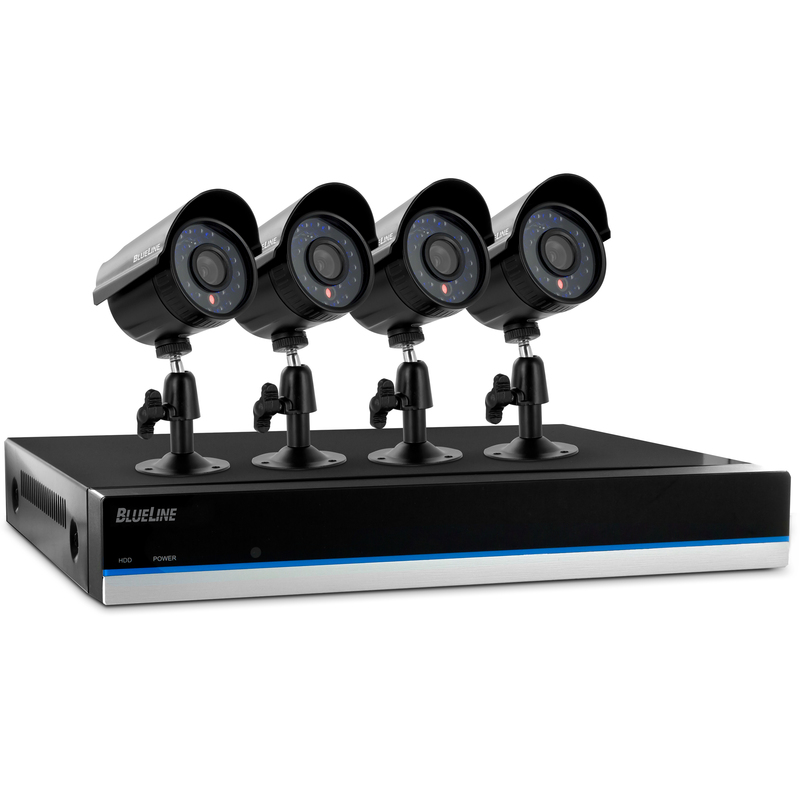 This 4 channel DVR kit comes with 4 high resolution cameras, packed with all the valuable features you need to neutralise any threat and keep your peace of mind at an all-time high. See it all in pristine detail, day or night: 480 TVL cameras with 75ft night vision leave nothing to the imagination. Record more than 2 years of footage for quick and easy playback anytime, anywhere. Defender’s free 1 Step™ Remote Viewing software instantly networks your DVR with the Internet. View your video feeds live, receive instant email alerts and watch any previously recorded footage from anywhere in the world with an Internet connection on your smartphone, tablet or computer. Defender cameras’ IP65-rated anodized aluminum housing means your system will remain active through all types of weather conditions. Defender BlueLine gives you all the peace of mind of a professionally installed system with the satisfaction that comes from knowing you did it all yourself. Don’t leave the safety of your property to chance – trust Defender to help you protect what you value most. IR illumination range up to 75ft under ideal conditions. Objects at or beyond this range may be partially or completely obscured, depending on the camera application. 3.3" x 2.5" x 2.6"